After the defeat of floor-crosserDanielle Smith in this past weekend's Tory nominations, things have taken a surprising turn. New poll results, just released, indicate that the Alberta PC Party and the Wildrose Party are in a dead heat for support. This poll may make Alberta Premier Jim Prentice rethink his spring election plans, but it's unclear whether these results were a byproduct of the tumultuous nominations (and aftermath), or if they're a direct outcome of Alberta's budget, which was also released last week. If an election still goes forward, it's possible that the NDP in the province could come out with a victory. The poll, conducted by Mainstreet Technologies, has the PC Party and Wildrose tied at 24 per cent support. The survey also suggests a fifth of Albertans are still unsure who they’d vote for. "Time will tell if this reaction to the new tax measures will have a lasting effect on public opinion or if it is just a temporary effect. It is certainly a drastic change from where we saw public opinion just a few months ago," said Quito Maggi, President of Mainstreet Technologies. 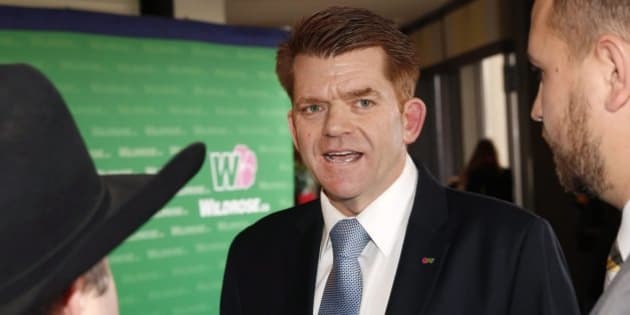 "Wildrose support seems to be enjoying a resurgence after many months, perhaps due in part to a honeymoon period after their leadership and backlash against the loss of their former leader Danielle Smith in a PC nomination." Less than four months ago, Mainstreet showed Prentice and his PC party held a dominating lead with the support of 44 per cent of decided voters, compared to 20 per cent for the leaderless Wildrose.